In 200 years the Australian wine industry has grown from a few small plantings to become one of the top six wine producers in the world, renowned for its consistent quality, with many of its changes in viticulture occurring in the second half of the 20th century. With diverse climate across its regions and some having extreme conditions that are not really conducive for viticulture, it is the distinct geography and climate along the southern parts of the country, combined with innovative techniques that has resulted in some high quality Australian wine production. 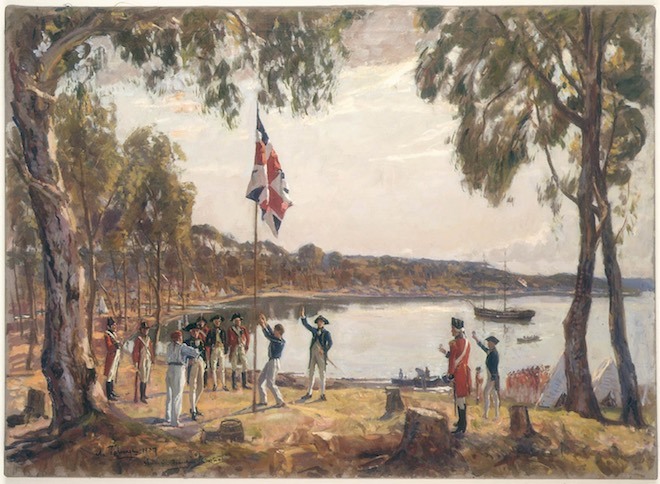 Australia's history of wine traces back to its settlement in 1788 and to its first Governor of New South Wales, Arthur Phillip, who founded the British penal colony that later became the city of Sydney, Australia. Vine cuttings were brought to New South Wales by Admiral Arthur Phillip on the First Fleet that departed from Portsmouth, England, on 13 May 1787, to establish the penal colony that became the first European settlement in Australia. The first attempt at wine making failed but it was the continued efforts of the early settlers who managed to successfully cultivate vines, that Australia produced its first notable wine by the early 1820s. Viticulture in the early days of the Australian wine industry was centered around Sydney and the Hunter Valley, driven by its early entrepreneurial settlers and from there, it spread out to Western Australia, Victoria, South Australia and Queensland. Gregory Blaxland an English pioneer farmer who arrived with his family in Sydney in 1806 is noted as one of the first settlers to plant grapes for wine-making purposes. He had brought vines from the Cape of Good Hope and found a species resistant to blight, a plant disease caused by fungi. Blaxland visited England in 1822 taking with him a sample of his wine, which was awarded the silver medal of the Society for Encouragement of Arts, Manufactures and Commerce, now known as the Royal Society of Arts. Blaxland became the first Australian winemaker to win an overseas award. An important pioneer in the early wine-making industry of Australia was John Macarthur, also recognized as the pioneer of the wool industry in Australia in the early 19th century. Macarthur established Australia's first commercial vineyard. Macarthur's biggest contribution was the establishment of a vine nursery at his property Camden Park to the southwest of Sydney, where he successfully cultivated, vine plants, imported from France in 1817. His nursery was the major source for vine root stock throughout the colony, in its early days. Another important figure in the early wine industry was James Busby who imported vine stock from Spain and France to Australia in 1833, including a good selection of grapes for fortified wine production. The vines were grown at an experimental garden in Sydney, from where they were propagated to other parts of the colony. Busby had his own vineyard in the Hunter Valley and also authored, four publications on wine in the early days of the colony. The production and quality of Australian wine was also influenced by the arrival of settlers from various parts of Europe, who used their skills and knowledge to improve the quality of the wine. German settlers fleeing persecution from the Prussian province of Silesia, in what is now Poland, were important in establishing the wine industry of the Barossa Valley in the mid-1850s. 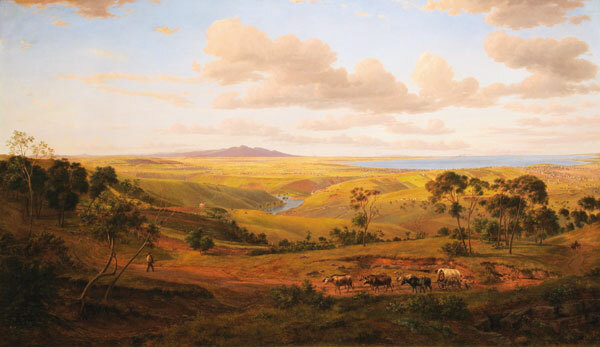 Swiss settlers brought their knowledge of viticulture with them to Yarra Valley and Geelong and other parts of what is now the state of Victoria in the 1840s. Among the Italian emigrants, Thomas Henry Fiaschi who was born in Florence, Italy, was an expert viticulturist, besides being a surgeon. He established the Tizzana vineyard on the Hawkesbury in 1882 and made several contribution to the Australian wine industry through his experimental use of new grape varieties and adoption of new wire and trellis system of planting vines. Fiaschi served as the president of the Wine Growers Association of New South Wales for some 25 years. James Angus, a Scottish emigrant who established the Minchinbury winery is credited with introducing modern wine making techniques in the late nineteenth century. In 1903 he also introduced the sparkling wine that has made the name Minchinbury famous in Australia. Many vineyards in Australia including those in the Barossa Valley were planted to produce so-called ‘ports’ for the British Empire market in the mid-19th century. Due to the influence of the German settlers, in the Barossa Valley, in the 1840's the early focus was on the production of Riesling, a German wine grape from the Rhineland. The hot valley floor contributed to early grape ripeness, with high levels of sugars and low levels of acids, creating high alcoholic wine. Some of this wine was eventually distilled to produce brandy which ushered in a period of fortified wine production that coincided with the plantings of many red grape wine varieties like Shiraz and Grenache. Phylloxera reached Australia around 1875, as Australian winegrowers had imported and begun planting numerous European varietals, including those from France. Many vineyards in different parts of Australia were severely damaged, and the wine industry was hit incredibly hard. However, the South Australian government of the day, had introduced strict quarantine legislation in 1874, restricting the movement of vines across its borders. Due to these restrictions, South Australia, managed to remain unaffected by phylloxera. Western Australia, is also phylloxera free, probably because of its isolation from the rest of Australia. Much of the early 19th century was a period of trial and error for Australian winemakers, as they experimented with different European grapes, while trying to create a wine industry which could export wine to the lucrative British market. Until around the mid-20th century Australian wine production consisted mostly, of sweet and fortified wine. The period between World Wars I and II, saw Australia's social and cultural make-up start to undergo a slow transformation. The late 1920's and early 1930's saw an initial influx of European immigrants particularly Italians arriving to Australia, seeking a better life. 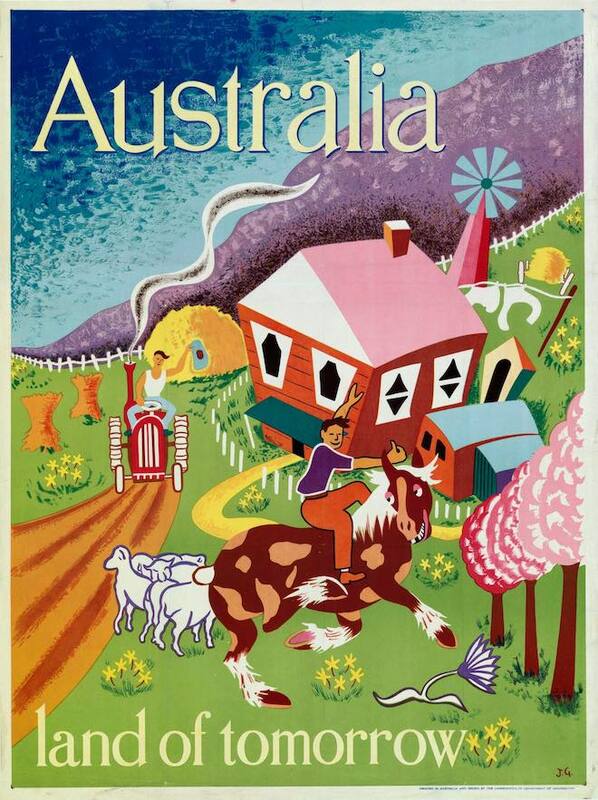 This was followed by further influx of European refugees to Australia, many from countries with long cultural associations with wine, such as Italy and central Europe, at the end of World War II which continued throughout the 1950s. The new immigrants from Europe, introduced their culture of enjoying food with table wine in restaurants and at home, creating a demand for table wine. Starting, around the mid-20th century, the Australian wine industry had started shifting its focus to the production of good quality table wine, and also developing vineyards in the cooler climate areas such as the Yarra Valley, which had previously been devastated by the phylloxera epidemic. Some of the new immigrants also brought with them their wine-making skills, such as Vittorio de Bortoli, who immigrated to Australia in 1924 from Italy. Bartoli started off with nothing and by working at other farms, saved money to buy a small farm. By making small amounts of dry table wine, mostly for fellow European immigrants, he developed a reputation for premium wine. Today, De Bortoli Wines is one of the largest family owned wine companies in Australia. Filippo and Maria Casella who immigrated to Australia from Sicily in 1957 also started with a small vineyard and a winery. Today Casella Family Brands is known for its Yellow Tail wine brand. As new techniques were developed and Australians gained a taste for the better quality table wines, consumption of wine increased. By the early 1970's, table wines outsold fortified wines. The Trade Practices Act of 1974 and reforms of liquor licensing laws for restaurants and hotels, stimulated the emergence of liquor chain stores and wine discounting. 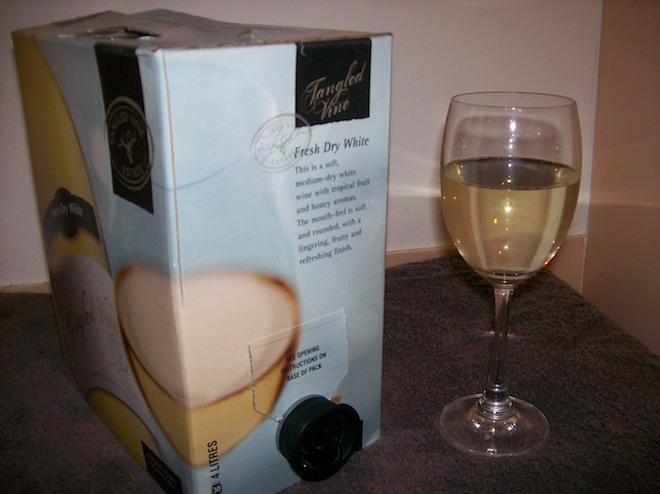 This period saw the commercial development of the 2-to 4-litre cask, or ‘wine in a box’, which added hugely to domestic consumption at the lower end of the market. The increase in wine production in the two decades to the mid-1980s, of first red and then white table wines, was driven by domestic consumption and not export. The wine industry in general continued to be internationally uncompetitive. The most recent growth in Australian wine production began in 1986 with a steady increase in exports after the Australian dollar had plunged to record low levels during 1985. The wholesale value of Australian wine sales doubled between 1984-86 and 1992-94, and the domestic consumer price and the export price of Australian wine both grew by around 50% over that period. This also led to higher quality and more profitable grape varieties being planted, and an increase in wine production and wine exports. The huge increase in the quantity and quality of Australia’s wine exports, combined with marketing and collaboration began to build the country’s international reputation for low budget fruit forward and premium quality wines. The partnership between Deutsch Family Wine and Spirits and Casella Family Brands to jointly market the Yellow Tail wine to the sub $10 market in the United States, in early 2000, is an example of success for some Australian winemakers in foreign markets which was largely dominated by European wine. However, it also had a negative effect on the Australian wine industry as it spawned a number of imitators and prompted rival Australian brands to focus even more of their efforts on the budget category. Meanwhile, Australia's wine colleges have contributed to the rise of technically adept winemakers and the Australian Wine Research Institute, established in 1955, has been supporting Australian grape and wine producers with the development and adoption of innovative practices. 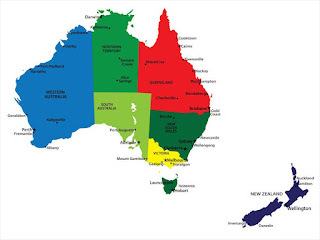 Wine is produced in every state, with more than 60 designated wine regions, however most wine regions are mainly in the southern, cooler parts of the country, with vineyards located in South Australia, New South Wales, Victoria, Western Australia, Tasmania and Queensland. The large differences in growing conditions, driven by climatic differences, topography and soil types have resulted in different wine varieties and styles across the the wine regions in each of these states. The major grape varieties are predominantly Shiraz, Cabernet Sauvignon, Merlot, Chardonnay, Sémillon, Riesling and Sauvignon Blanc. The wine-producing areas are divided up into 'Geographic Indications' or 'GIs' classified as states, zones, regions and subregions. A zone contains one or more regions within a state. Wines carrying a GI name must comply with the 85% rule, i.e. if a label shows a single vintage, grape variety or region, the wine must match by 85%. Each of these wine regions has its own history, and their collective histories make up the history of Australian wine. In this article we explore the main grape varieties and interesting historical facts of the five major wine states of Australia: South Australia, New South Wales, Victoria, Western Australia and Tasmania, and the major wine regions within these states. Located in south central Australia, South Australian wine industry is responsible for more than half the production of all Australian wine. The region has a vast diversity in geography, soil types and climate which allows the production of different grape varieties ranging from the full bodied Shiraz wines of the Barossa Valley, to the cool climate Riesling variety in the Clare Valley wine region. The climate of the state varies greatly, with the more interior regions like the Riverland being intensely hot, and growing cooler closer to the coastal regions like Adelaide Hills, which is one of the cooler wine regions of mainland Australia. Some of Australia's best-known wines like Penfolds Grange, Jacob's Creek, Yalumba and Henschke Hill of Grace are produced in South Australia as well as many of Australia's mass-produced box wines. The Barossa Valley wine region is one of Australia's oldest and most prestigious premium wine producing regions, known for its Shiraz production. Since the region's climate is very hot and dry most of its white grape varietals like Chardonnay, Riesling and Sémillon are planted on the higher altitude hill sides around the valley where they can be cooled by the ocean breeze. South Australia is also home to the Clare Valley wine region, one of Australia's oldest wine regions, best known for Riesling wines. Its climate is moderately continental, with cool to cold nights and warm to hot summer days. The main red grape varieties planted in South Australia are Shiraz, Cabernet Sauvignon and Merlot. The main white grape varieties are Riesling, Chardonnay and Sémillon. 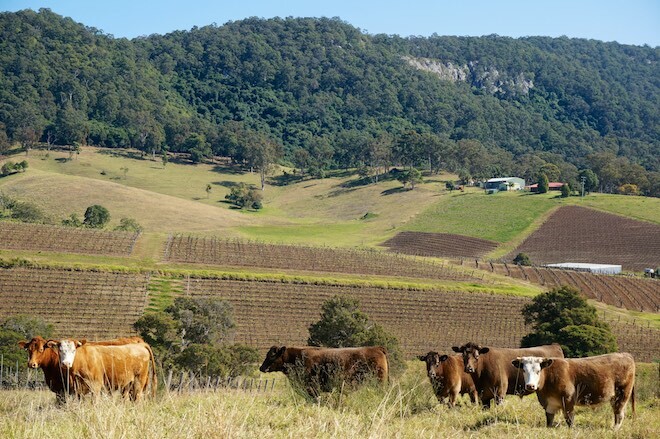 New South Wales a state on the east coast of Australia is the second-largest wine producing state in Australia. It has a varying micro-climate across its wine regions. 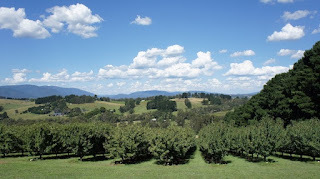 The Hunter Valley, located north of Sydney, is the most well-known wine region but the majority of the state's production takes place in the regions of the Big Rivers zone, which includes Perricoota and Riverina plus Murray Darling and Swan Hill which are shared with the state of Victoria. 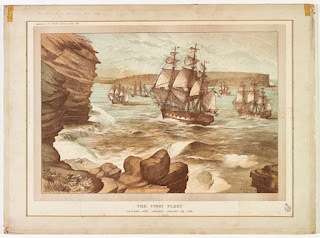 Vine cuttings were brought to New South Wales by Arthur Phillip on the First Fleet to the colony and planted in his garden, who was then the Governor of the colony. In 1824, James Busby planted grapevines along the Hunter River, from a land grant he was awarded, and his findings were included in his book on Making Wine in New South Wales published in 1830. The wines produced from the Big Rivers zone are largely used in box wine and mass-produced wine brands such as Yellow Tail. The main red grape varieties planted in South Australia are Shiraz and Cabernet Sauvignon. The main white grape varieties are Chardonnay and Sémillon and Sauvignon Blanc. Located in southeastern Australia, the state of Victoria has more wine producers than any other Australian wine-producing state but ranks third in overall wine production. The style of red wine in this state ranges from lighter elegant Pinot Noir to medium and full bodied Shiraz and Cabernet Sauvignon. Wine-making is spread out across the state and features premier wine regions such as Rutherglen and the Yarra Valley. Rutherglen is particularly noted for its sweet fortified wines and the Yarra Valley's relatively cool climate makes it particularly suited to the production of high-quality Chardonnay, Pinot Noir and sparkling wine. Another well known region is Geelong, which is influenced by nearby Port Philip Bay, and has been achieving international recognition for the quality of its Pinot Noir, Chardonnay, Riesling and Viognier. Many of its vineyards were uprooted when phylloxera arrived in 1875, but the wine industry was reestablished after the mid-20th century. Viticulture has existed in Victoria since the 19th century and experienced a high point in the 1890s when the region produced more than half of all wine produced in Australia. The phylloxera epidemic took a hard toll on the Victoria wine industry which did not fully recover till the 1950s. Early in Victoria's wine history, most of the wine industry was settled in the cool southern coastal regions around Melbourne, particularly in the Yarra Valley and Geelong. The main red grape varieties planted in Victoria are Shiraz, Cabernet Sauvignon, Pinot Noir and Merlot. The main white grape varieties are Chardonnay and Sauvignon Blanc. The late 1990s and 2000s has seen an increased planting of Viognier, Sangiovese and Pinot Noir in the wine regions of Victoria. Western Australia is a state occupying the entire western third of Australia, but its wine regions are almost entirely situated in the cooler climate of its south-western tip. The Swan Valley is the historical centre for wine production in Western Australia, but the state's cooler climate south-western wine regions such as Margaret River, and The Great Southern are considered to be more significant, due to the hot dry climate of the Swan Valley. The potential of the Margaret River Wine Region was discovered in the mid 1960’s after various pieces of scientific research from Professor Harold Olmo (USA) and Dr John Gladstones (Australia) identified it as a potentially great grape growing region. Today, the region has built an international reputation for its fine wine. The Swan District, of which the Swan Valley forms part, is the hottest wine region in Australia, with the grape harvest usually beginning in January. The Great Southern wine region is vast and diverse, extending 100 kilometers north to south and 150 kilometers east to west and is the largest wine growing region in mainland Australia. It has a reputation for producing premium, cool climate table wine for domestic and international consumption. The main red grape varieties planted in Western Australia are Shiraz, Cabernet Sauvignon and Merlot. The main white grape varieties are Riesling, Sémillion, Chardonnay, and Sauvignon Blanc. Tasmania is an island state of Australia, to the south of the Australian mainland. The cool climate of its regions results in a late harvest, typically around April. Being an island, Tasmania faces strong winds of the Indian Ocean, Bass Strait and Tasman Sea, which necessitate the use of large screens around the perimeter of vineyards in order to protect the grapevines. Tasmania is one of the earliest wine regions in Australia, with Bartholomew Broughton having founded the first vineyard in 1823. 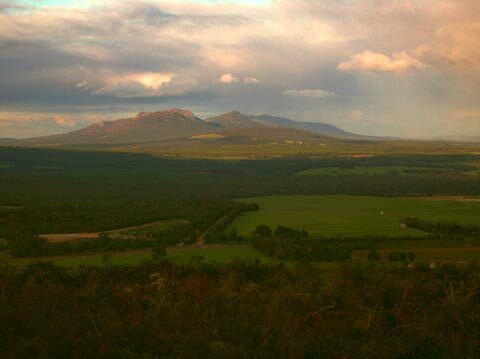 The effects of global warming has had positive outcome on the Tasmanian wine industry allowing most of the grapes to ripen fully and produce better quality wine. The region's cool climate has made Tasmania a good location for the production of sparkling wine. Many of Australia's mainland producers having production facilities on the island to make the base cuvée that is later transported to the winery's main facility. The main red grape planted in Tasmania is Pinot Noir, other varieties are Cabernet Sauvignon and Merlot. The main white grape varieties are Chardonnay, Sauvignon Blanc, Pinot Gris and Riesling.